Organized by the Press Department of the United Nations International Cooperation and Coordination Agency, the U.S.-China Chamber of International Commerce, Home and Abroad News Press and the Chinese and Overseas Entrepreneurs Association, sponsored by YICASHO Apparel Group, the Second China-US Brand Strategy Forum with the theme of “Promoting Brand Culture and Increasing Brand Value” was held at the Leonard's Palazzo International Hall in Long Island, New York on November 1st. The entrepreneurs from Canada, Hong Kong, Beijing, Guangdong, Guangxi, and Yunnan, as well as many American business elites and political figures attended the event. Mr. Chuck Roberts, the Marketing Director of the US-China International Chamber of Commerce, gave an analysis report on how to increase the brand market shares and branding effects and the brand positioning strategies. The Deputy Director of the United Nations International Cooperation and Coordination Agency, the President of Home and Abroad News Press Mrs. Wei Yan delivered a theme speech “Chinese brands utilizes media platforms to penetrate the global markets”; Mr. Alan Zhang, the Executive Director of Home and Abroad News Press, gave a speech “Exploring the brand foundation of the Swiss banking industry”; Mrs. Kelly Luo, the Chairman of the YICASHO Group, delivered a speech “Making YICASHO as an International Fashion Brand”; Mrs. Huang Xiaojun, the Chairman of Beijing Jian'an Culture Co., Ltd., gave a speech “The power of the ‘Internet+ Education’ brand”; Mr. Jeffery Wang, the President of Paramount International Real Estate Co., gave a speech “Real estate entering a new branding era”; Mrs. Xu Han, the Vice Chairman of the Chinese Cheongsam Association, delivered a speech “Cheongsam: the strength of Chinese national brands”; Mr. Li Long, the Chairman of Guangxi Yinghai Investment Co., Ltd. gave a speech “Branding transforms a company from great to excellent”; Mrs. Gao Yunyan, the President of Allianz Insurance Brokers, delivered “Allianz Group continues to strengthen its world's most valuable insurance brand’; Mrs. Zhou Jianhua, the Chairman of Luguhu Yinhu Island Hotel, presented “How to create the best brand hotel in the hospitality industry” and several brand experts of the US-China International Chamber of Commerce Mr. William Grieshaber, Mr. Chuck Roberts, Mr. Randall Langen, Mr. Bryan Guiski, Ms. Sue Tang Grieshaber and Mr. Daniel Park all gave brilliant speeches at the forum. It’s known that in today’s booming Internet economy, the brand has become a symbol of the nation’s overall strength and an important factor for consumers. As a company’s logo and the protection of its superior quality, brand has become an intangible asset that enterprises must strive for, and it is also a goal that many internationalizing companies competing with each other. The China-US Brand Strategy Forum is a platform for business people and culture professionals from both China and the United States to consolidate with new ideas and deep wisdom, explore different ways to survive and develop in today’s global economy, and discuss future cooperation. With the 19th National Congress of the Communist Party of China and President Xi’s “Belt and Road” Initiative, we believed that the forum will surely upgrade more Chinese brands to world brands with their accreditation from the world-class metropolitan, New York City. 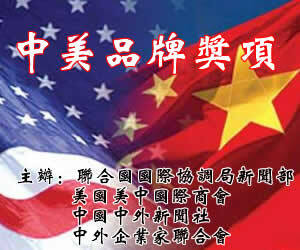 Home and Abroad News Press had successfully held the “First China-US Brand Strategy Forum” on September 16th, 2012 with the Clark County Government of the United States (Nevada). The organizers, co-organizers and sponsors reached an agreement to permanently settle the China-US Brand Strategy Forum in the United States. They will jointly promote the global brand culture and make consistent efforts to build Chinese and American enterprise and branding strategy. Located in the northeastern United States, New York State is one of the most economically developed states in the United States, and it is the capital of the world brands. The China-US Brand Strategy Forum held in New York is of epoch-making importance.